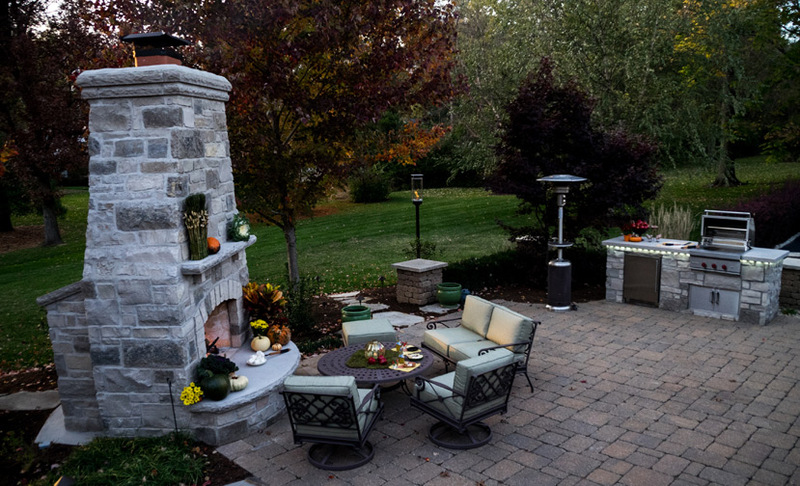 Go from summer to fall with an outdoor fireplace. When you’re losing half of your body weight in sweat at the height of the summer, a patio season that lasts forever is probably low on your list of hopes and dreams. But when the chill and snap of fall and winter blow in, there’s nothing better than the crackle and pop of a warm fire to bring outdoor appeal to long, dark nights on the deck. 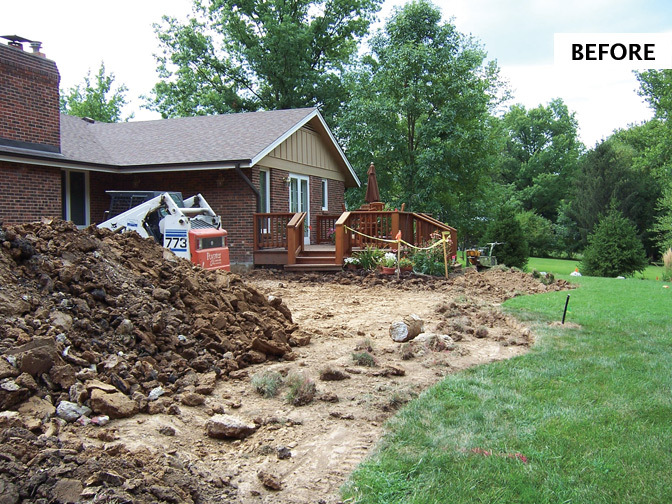 For residents with this brand of seasonal foresight, there’s no better partner in planning than Poynter Landscape Architecture & Construction in Ballwin. With mastery in pergolas, patios and all manner of outdoor living, Poynter considers the space around and about your dwelling as an extension of your home rather than an untended and, often, unused extra. The stone hearth, open-air kitchen and seating area that sprung from what was once a modest backyard can easily be classified as dream-house material. “The patio itself is about 1,500 square feet, plus the deck,” Wilhelm describes. “The homeowners wanted lots of counter space and seating in the kitchen area so it felt like, when someone was cooking, they were still a part of the group.” It all comes to life, he says, when the outdoor lights come on. But one could certainly argue it’s the opposite — when the lights go off and the fireplace roars—that enkindles any patio gathering. So if you’re not ready for the summer to end; don’t sweat it. An outdoor living area with all the amenities of a warm night by the fire may be one of the very best reasons to extend the season.